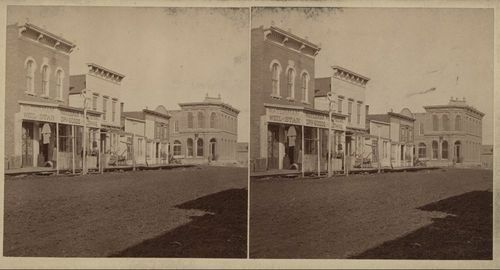 A stereograph showing a business street in Chetopa, Kansas. Visible in the stereograph is Waterman Weil and Star Dry Goods and Clothing Store. Chetopa was located along the Missouri, Kansas and Texas Railway line.